In this case, the answer is: it depends on your end goal, says Wallace. However, if growers want to use their yield data to see the results of different of seed varieties or crop treatments, the equipment must be properly calibrated. “Here, we’re trying to find nickels in a pile of dollars,” explains Wallace. For example, he has a grower tracking two different varieties of seed. He’s using a split planter to compare the performance of seed that was $250 a bag versus another that cost $300 a bag, but promises higher yields. Wallace says in this case, the grower needs to know exact figures, so he can determine if stronger yields have justified the higher cost of the seed. McGuire should know – he’s been working in the field, quite literally, for over 20 years. The hurdle he sees is that many growers are concentrating on growing the crop and managing the finances, that equipment calibration ends up on the back burner. That’s where consultants such as Wallace, McGuire, Braaten and other precision ag experts come in. As McGuire explains it, calibration is all about establishing a relationship between sensor output and pounds of grain. “That’s really what you’re doing when you calibrate sensors,” he explains. McGuire and his partner have an agronomic consulting company that addresses just these concerns. 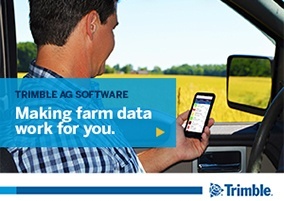 As the ‘data guy’, McGuire says the firm has a good understanding of the hardware/software relationship as it includes farmers, retailers and large national ag companies in its client list, and has in the past sold hardware for partners such as Trimble, Ag Leader and John Deere. These days most of his time is spent providing recommendations to growers in Ohio, Indiana and Michigan. His end goal? Encouraging them to slow down long enough to calibrate their equipment so they can make the most of their yield monitor data.